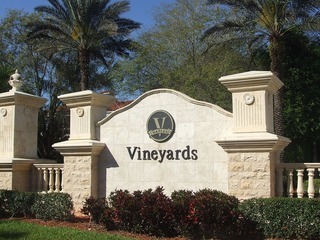 The Vineyards located between Pine Ridge and Vanderbilt Beach Extension offers miles of mature landscaping is enjoyed by walkers, skaters and bicyclists daily. The Vineyards history begins with brothers, Michael and Joe Procacci purchasing the land in 1960’s. Their dream of building homes began in the 1980’s. The Vineyards offers a manned 24-hour guard gate for the majority of properties. Single family homes, villas and condos make up the residences of the Vineyards. Amenities include two 18-hole PGA championship golf courses, a recently renovated 70,000-square-foot clubhouse and 12 lighted Har-Tru tennis. 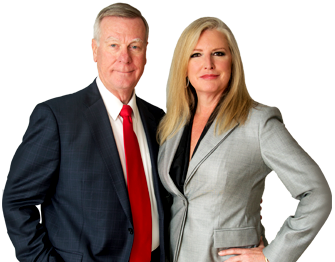 There are no Community Development District (CDD) at Vineyards. A CDD is where homeowners pay for all the infrastructure and development costs through an independent taxing district created by the developer. While many other large communities in Southwest Florida are CDDs, Vineyards is the exception. Physicians Regional Hospital lies on the west side of the Vineyards offering 24 hour emergency and comprehensive medical care. The Vineyards Community Center is a 32 acre park located across from the Vineyard residences. The Center features racquetball and volleyball courts, horseshoe pits, basketball, tennis, two softball fields, and a multiplicity of classes from aerobics, basketball camps, karate demonstrations, and art classes.